Insulation companies should be able to be trusted not just for installation expertise, but also for good, compassionate customer service. If you live in Orlando, Florida, and need a trustworthy company to insulate your home, turn to 31-W Insulation. As a family-owned and -operated company, we strive to bring our customers total satisfaction in every project, which is why all of our work is completed by loyal employees who uphold our high standards – not subcontractors we barely know. And, since we’ve been installing insulation and more in the southeastern U.S. since 1972, we boast a background that includes decades of experience many other insulation companies simply don’t have. We don’t simply rest on our laurels, though – instead, we constantly strive to refine our installation process in terms of both efficiency and thoroughness so that you can enjoy your newly insulated home as soon as possible. 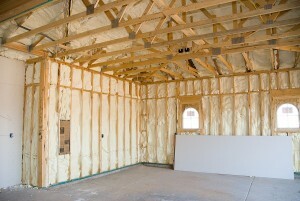 In fact, we are often able to finish installing insulation for an entire home in as little as one day. To learn more about what makes us your best choice among the insulation companies in Orlando, Florida, contact 31-W Insulation today.